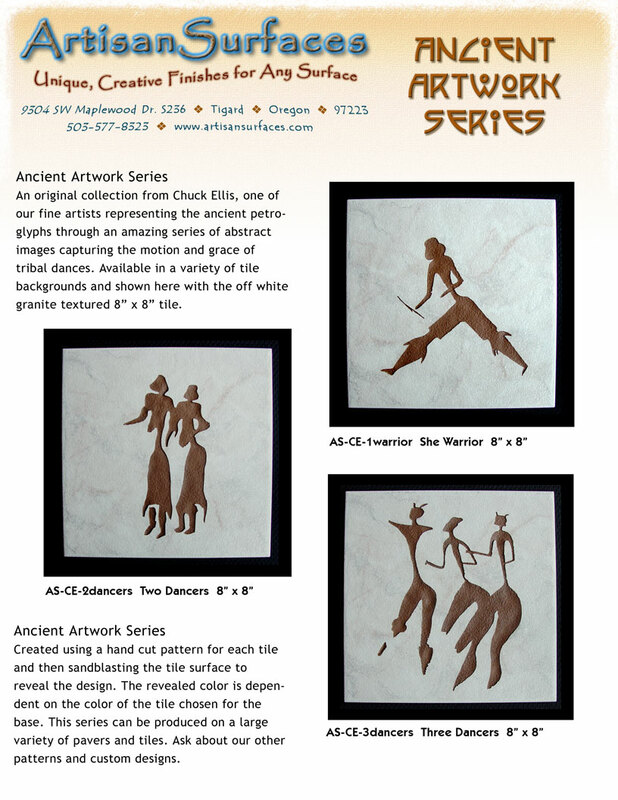 Ancient Artwork Series from Chuck Ellis, one of our fine artists, featuring creative interpretations of ancient artwork for every decorative application. Available in a variety of stone, tile and glass surfaces, in a variety of standard sizes. A complete range of tile colors is available to create a custom design unique to you. Created using a custom designed stencil for each tile and then sandblasting the surface to reveal the final design. The revealed patterns color is dependent on the base of the substrate chosen for the work. This series can be produced on a large variety of stone, glass, wood and tile surfaces. Ask about our other patterns and finishes in this series.